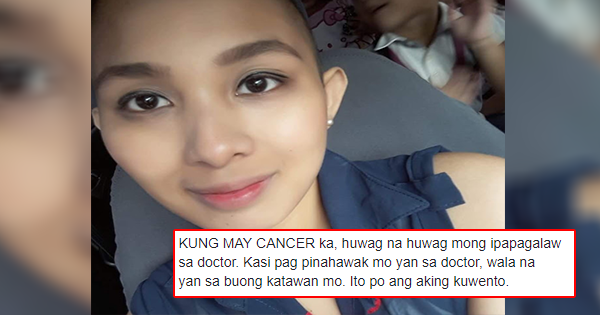 “Huwag mong ipagalaw ang tumor mo sa doctor ” Cancer Survivor Shares her Surviving Tips! Once we hear the word ‘cancer’, the first thing that pops in our mind is death. Many who have been diagnosed with cancer feel very hopeless and think that it would be impossible to get through the disease. 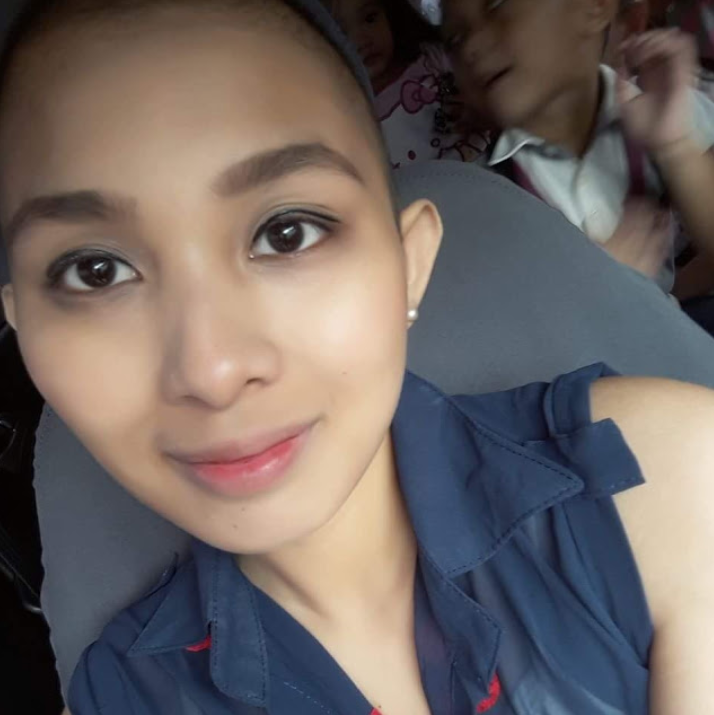 “How many months do I have left?” This is the common question of patients upon knowing they’re diagnosed with cancer and one of them is Nica Anne Sitchon-Macaspac. 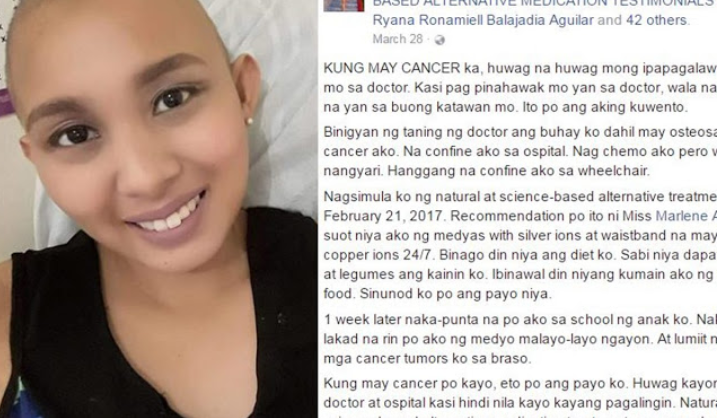 Macaspac’s post went viral online for miraculously surviving osteosarcoma cancer after quitting chemotherapy. What did she do? 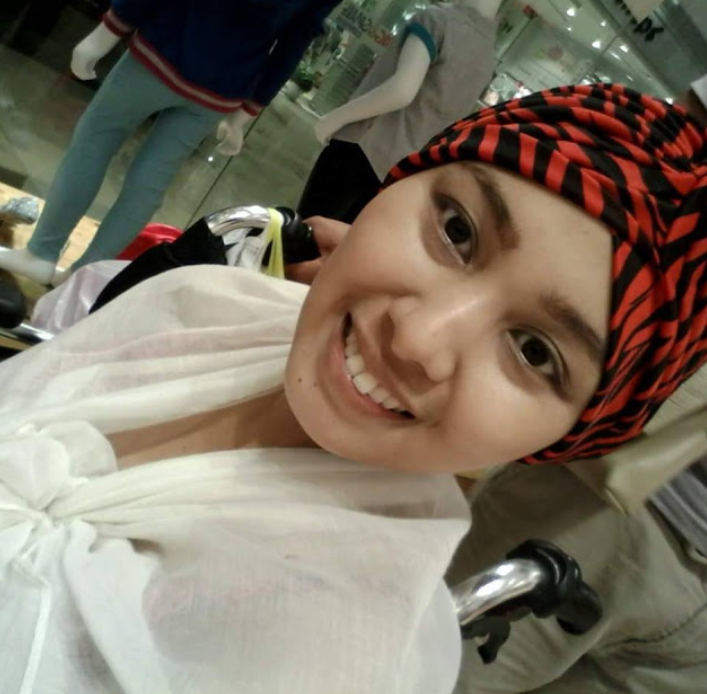 According to Macaspac, she was confined in the hospital and took chemotherapy to expedite her recovery from cancer. However, her situation gone worse to the point that all her strength was consumed in which her life would only revolve with the aid of her wheelchair. She knew that chemotherapy kills not only the cancer cells in her body but also the good cells that are why she decided to quit the treatment and tried science-based alternative treatment. On February 21 of this year, Macaspac tried the recommendation of her friend named Marlene Aguilar who advised her to wear socks incorporated with silver ions and wristband made with silver and copper ions. Her diet was also changed to just eating vegetables and legumes and preventing processed foods. A week later, she gained her strength back and was able to take her son to school. She no longer used her wheelchair because she can already walk by herself to further distance. Her tumors shrink and not too long from now and with higher hopes, she would be declared cancer-free. On the last past of her post, she advised everyone to try alternative and treatments apart from chemotherapy and to not always depend on the doctors for a cure.